This was done of a particular spot at the National Zoo. I saw this old tree by the main lake in the heart of the zoo. There were herons, couple of flamingoes and painted storks around but I have chosen to exclude them to focus on the tree. The style in this piece was adapted from John Lovett's techniques which I find incredibly fun and easy. 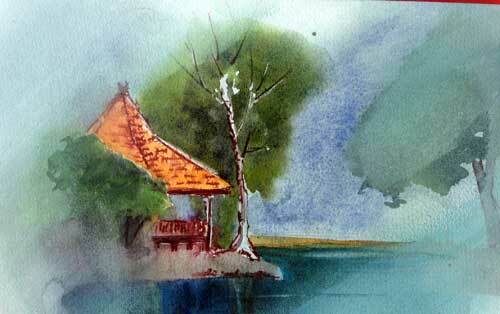 I think watercolour should not be laborious simply because if it were, then it would have lost its mysticism. Best way is to let the colours do their work.